poha idli recipe | instant poha idli recipe | aval idli recipe with detailed photo and video recipe. 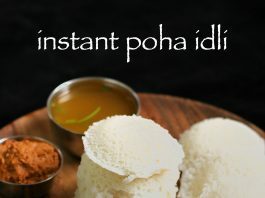 poha idli is healthy and instant version of traditional idli recipes. poha idli recipe | instant poha idli recipe | aval idli recipe with step by step photo and video recipe. 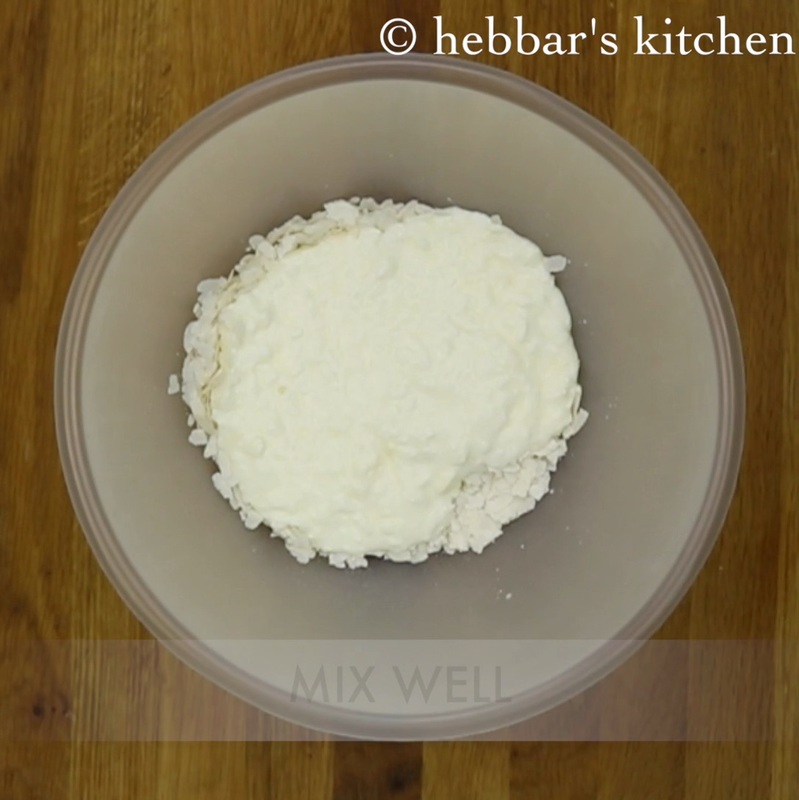 this is instant idli recipe made from coarse idli rava (rice rava), poha, yogurt and baking soda. 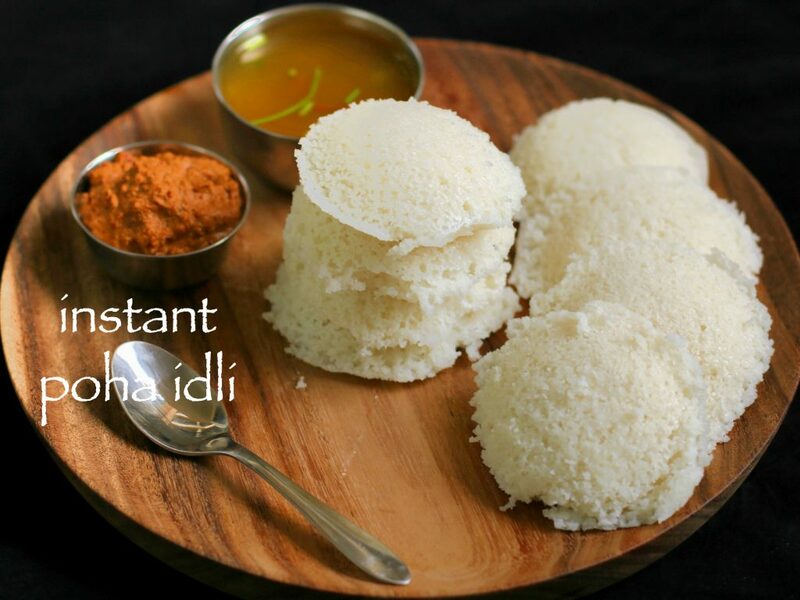 i love to prepare this idli as there is no soaking, grinding and fermenting. at home, my dad and husband love idli and dosas with chutney and sambar as everyday breakfast. when i am lazy, i end up making the instant version of idlis and dosas like this instant stuffed idli, rava idli, rava dosa, oats dosa. if you are looking for traditional idlis then check out my idli with cooked rice, idly with idli rava, kotte kadubu. i am also having recipes of set dose, mysore masala dosa, onion uttapam, davangere benne dosa, neer dose. now mash them nicely using back of your spoon. now add 1.5 cup of rice rava, 1 cup curd and water as required. mix and allow to rest for 10 - 15 mins. rice rava (idli rava) has to absorb all the water. 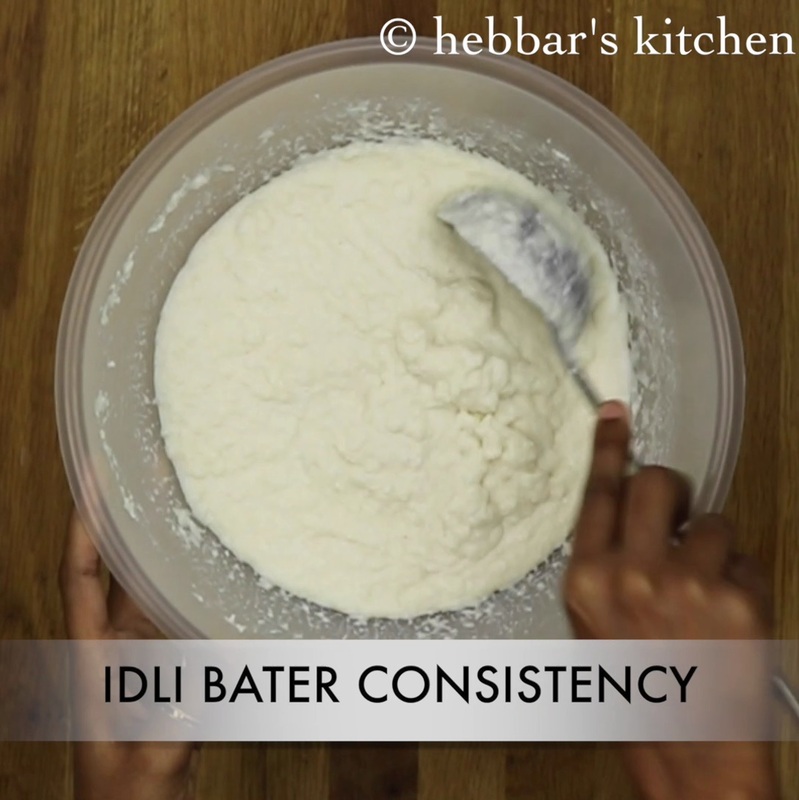 add water to get idli bater consistency. finally add some salt to taste. just before steaming add a pinch of baking soda and mix well till it turns frothy. as other idlis you have to steam it for 8-10 mins on medium flame. allow it to rest for 5 mins then unmould. mix and allow to rest for 10 – 15 mins. rice rava (idli rava) has to absorb all the water. always steam the idlis on medium heat to get the soft idlis. finally, if you are using thick poha then it requires more time to soak. so make sure you wash with water once and soak with curd. Hi, Archan!! I’ve become a great fan of your videos. What I love the most is you even give the salt measure and your instant recipes. Very handy indeed!! Well, will the idlis come out as soft if I use brown poha?? I think I’ll need to soak for a little extra time, right? Thanks again for the simple, inatant and quick recipes. great you loved it.. soak the poha till it turns soft and mushy. Can we use red poha variety for this idly? Will the result be as soft? why did my idli get yellowish? Is rice rava and rice flour the same? I m going to try it.. i want to make it using oven.. what can I do for it? We can prepare the idlis easily, as if we are expert by doing this idlies. Hi.. Is there any alternate for idli rava?? I live in UAE and I couldn’t get idli rava. Or can u share how to make the idly rava?? you can use normal rava but idli rava is most preffered for this recipe. Idli rava is available in Dubai in Adil Trading and also a brand called datar in lulu.. I love to watch ur videos very much. Ur thumb ring is so cute. Can we use the store brought curd?? Do we have beat the curd before measuring?? Thanks a lot Vijaya. Yes you can use store bought curd and yes beat it before measuring. Can I use kuchuulakki rava for poha idli? is it called idli rava? i have not seen kuchuulakki rava? where did you get it? is it made from kuchuulakki/ biled rice? Hi, thanks for this recipe. 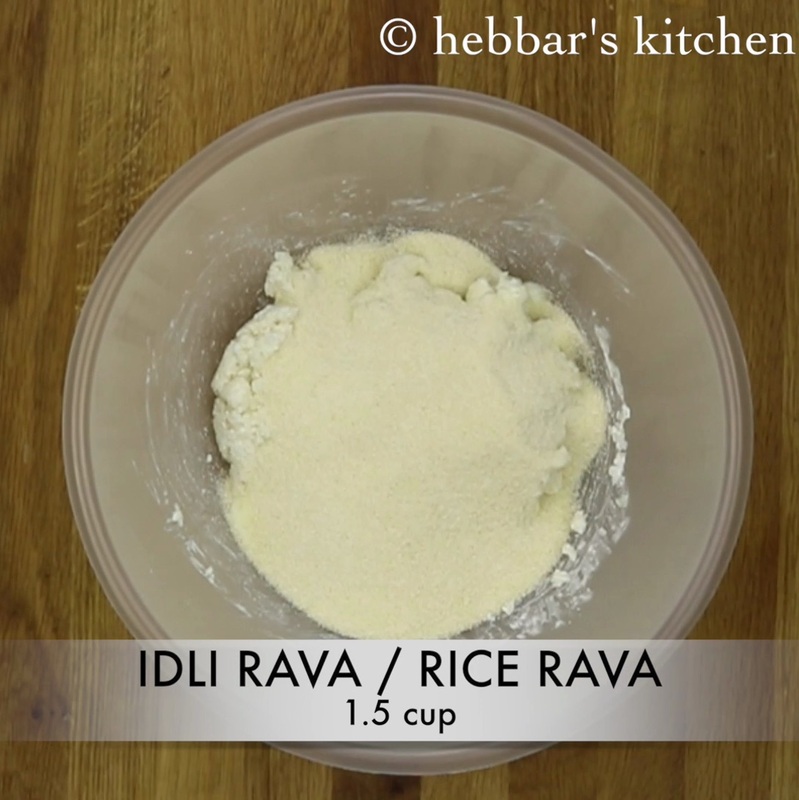 Can I use rice flour instead of idli Rava? 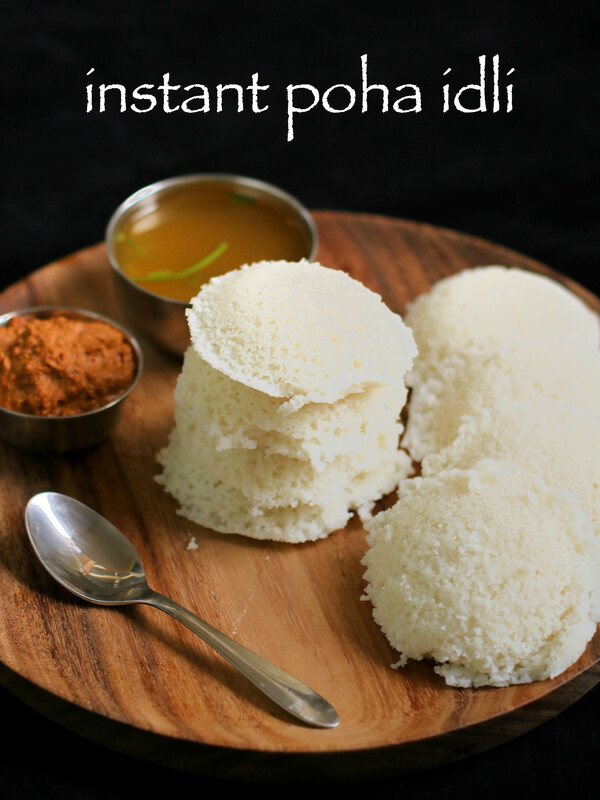 no you need idli rava to this recipe and rice flour consistency is smooth and would not work for you. nope you need idli rava for this recipe. Can we do anything to get rid of it??? Very delicious and easy to prepare. Loved it. Can we take this idli during travel?Will it be good? yeah definitely.. it taste great.. Thank you for the super soft instant idlis. They were a real treat for the family. Hi, me n my daughter doing wonderful recipes from your kitchen , v both r spreading your recipes to everyone. Great fan of hebbars kitchen. Thanks you so much. 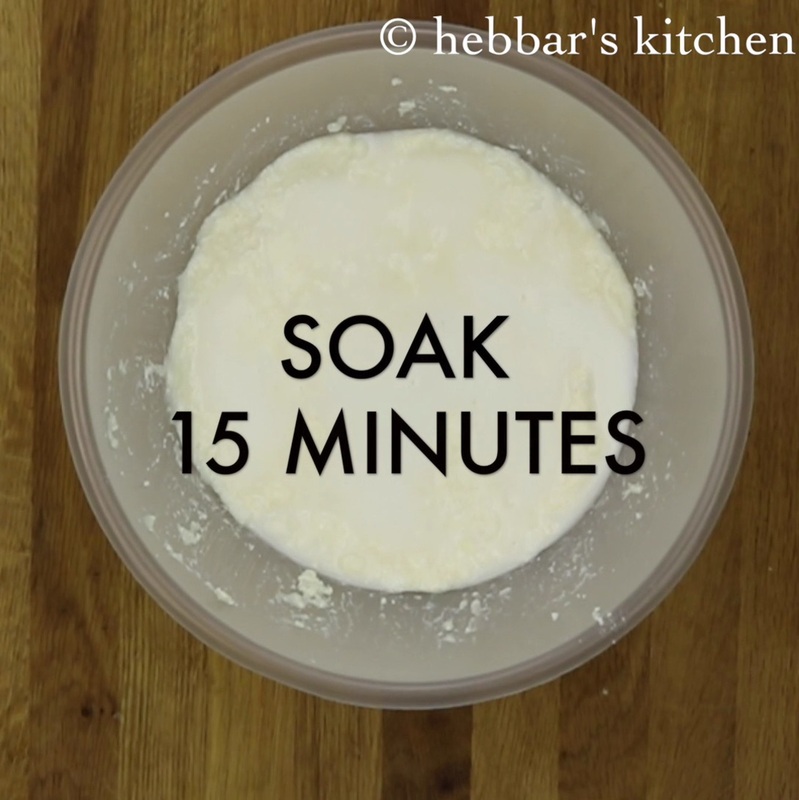 Instead of baking soda,if i use sour curd,just like you use it for rava idli,and let it soak for little more time,will it come equally soft & fluffy? I prefer to skip the soda,as sometimes food items with baking soda gives my child an upset tummy! yes sour curd should hasten the fermentation process. 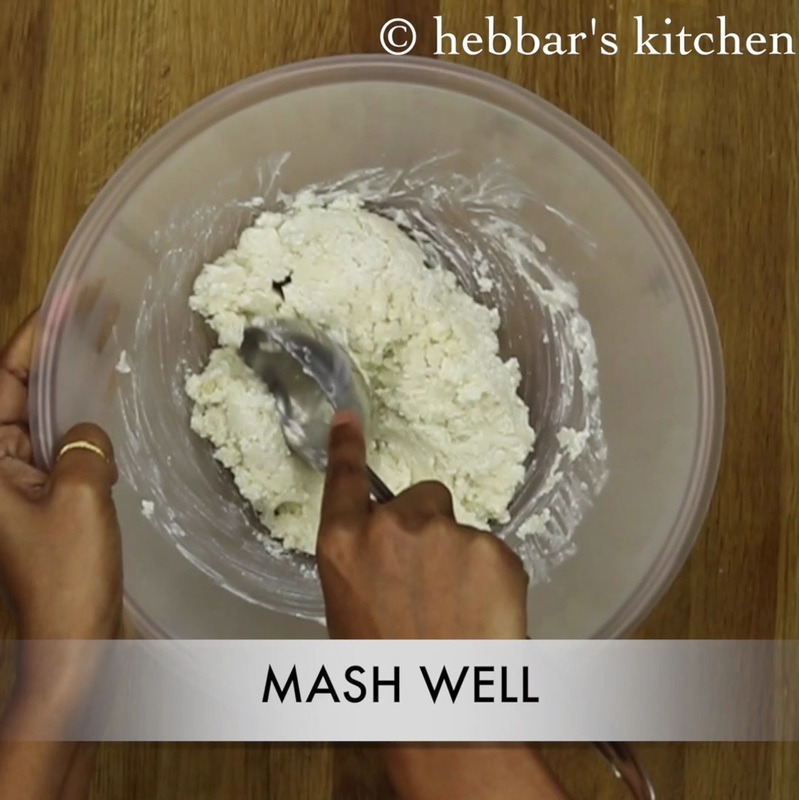 Can we make Dosa from this batter? What a fantastic recipe! My family just loved it! Kids to parents fell in love with these idlis.. They just vanished in no time! Kudos! I LIKE UR RECIPIES SOON MUCH AS THEY R VERY EASY ,INSTANT MADE AND TASTY.I LOVE THE WAY U SHOW THE MAKING VIDEO WITH NICE MUSIC AND FASTER COOKING.PLZ TRY TO PUT UP BABY RECIPES TOO. I tried this recipe and it came out good. I was looking for a quick recipe to replace the store bought mix. Thanks a lot! Recipe turns awesome. Thanks Hebber’s Kitchen!! I have lots of poha at home, the thin variety, let me know if curd can be avoided, can I prepare with baking soda. I require to prepare the instant variety for my childrens tiffin. 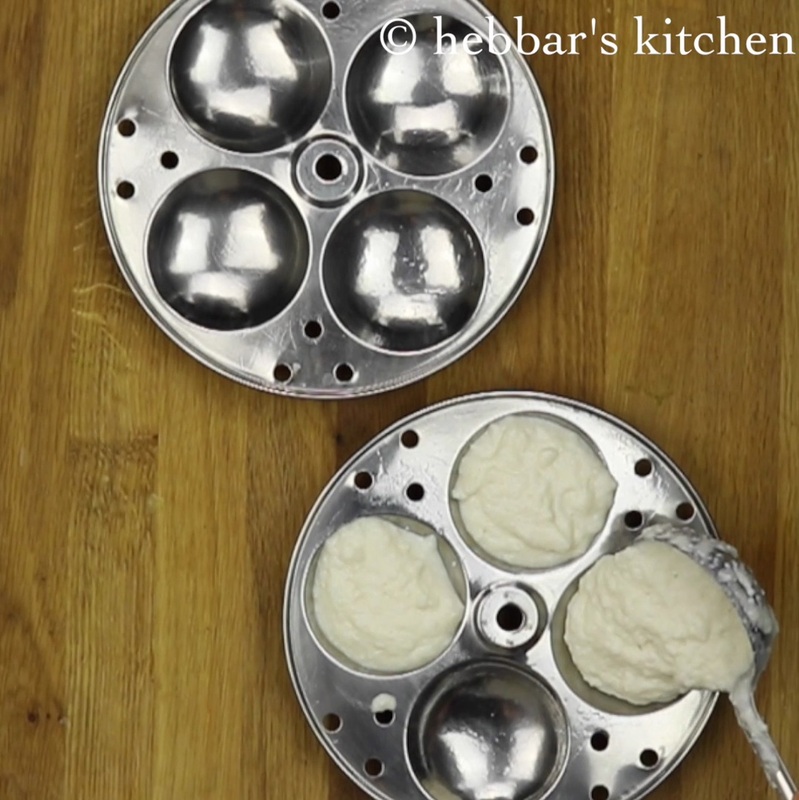 curd gives a texture and sourness to the idli. use lemon juice instead of curd. 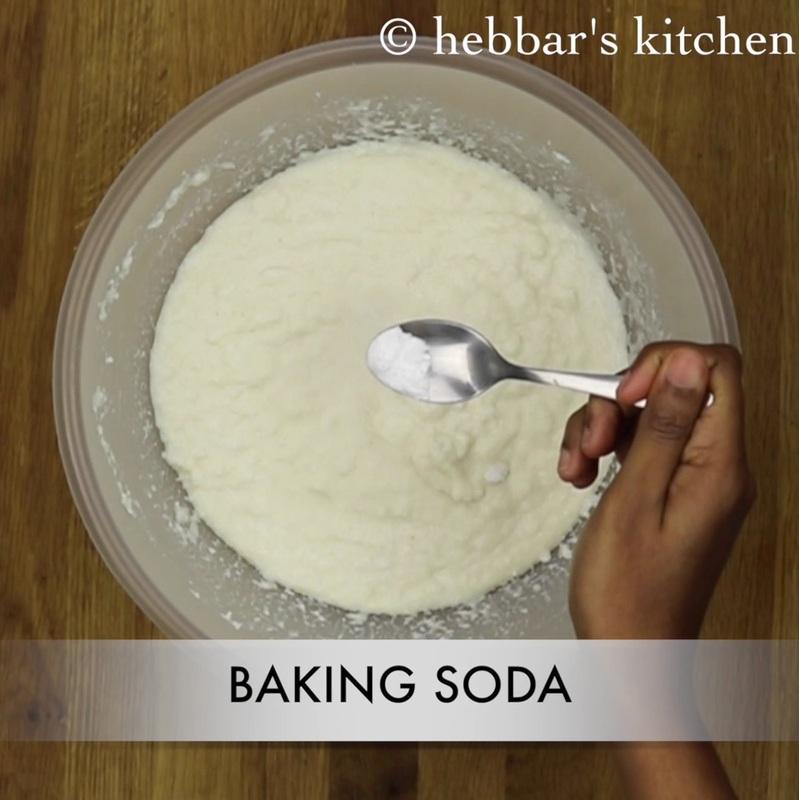 baking soda helps to make ur poha idli more fluffy and soft… but u can skip if you do not like to use baking agent. Idly rawa is made from rice. Whereas rawa is the byproduct of wheat. Omg…u rite. I used regular upma thin rava.i used same to mk rava dosa also. Is idli rava is diffrnt? yeah it is different… idli rava is rice rava whearas upma rava (sooji / semolina) is of wheat…. I don’t have that thing to make idilis !! CCan you suggest me an alternative ? 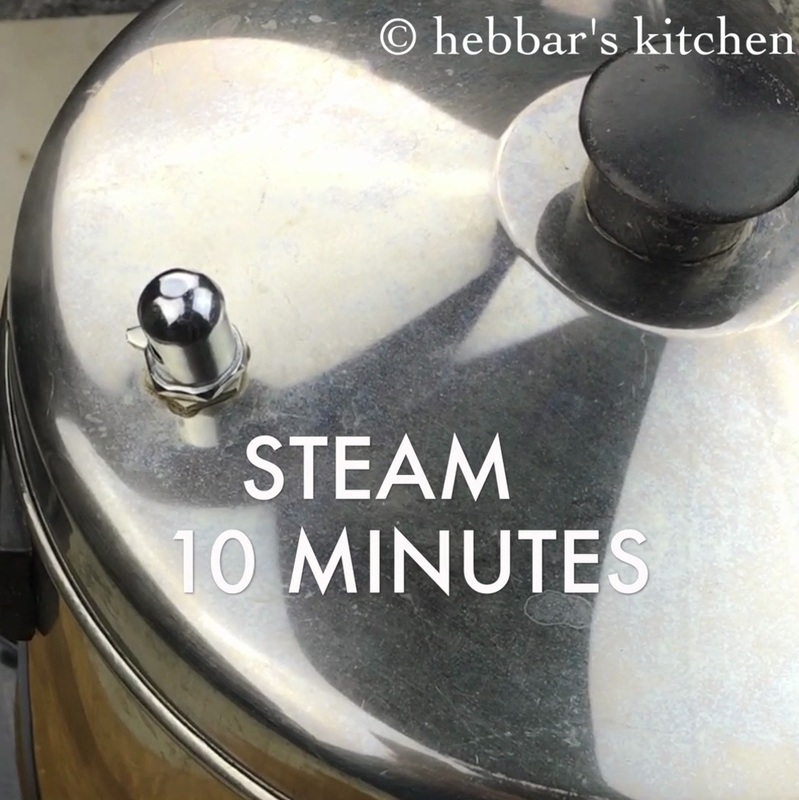 Hi Pooja… you can steam in a box, glass, or cups… it turns out amazing!! Can we prepare the idlis ahead of time or will they become hard if we do that? Is it baking Powder or baking Soda that you suggest?